1975. 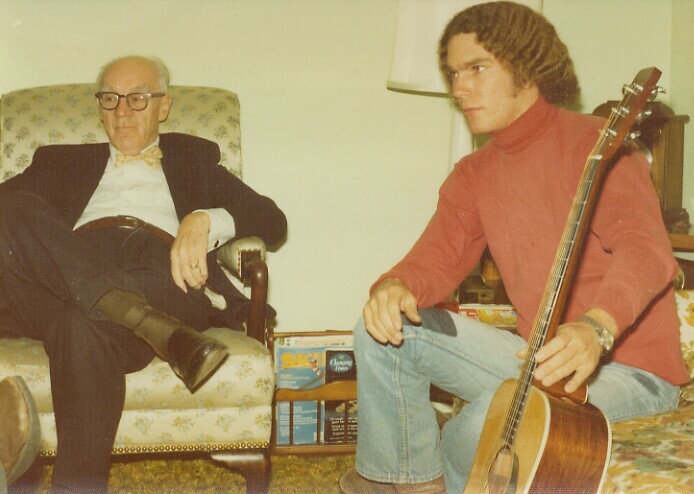 Grampa Schneider (d. 1978) and I concentrate on something, probably Mark or Bill, seeing the "Earth Shoes" at left. Grampa always dressed for the bench (a retired county judge and Circuit Court Commissioner) with bow tie and suit, French Cuffs. The Martin stands at the ready in my left hand.